Today is the deadline for applications for our internal Wellman Hill Public Service Internshipawards. These internships, funded by our double alumna Judge Magistrate Elizabeth Hill, are a signature program of the Department of Political Science. Every year the Wellman Hill committee – composed of our alumni, our faculty, and friends – reviews applications, interviews applicants, and selects as many as five awardees, who spend their summer undertaking public service in a wide range of endeavors, with financial support from the Wellman Hill Program. Beyond the Wellman Hill Program, many of our POSC majors go on to public service following graduation. Our 2017 Careers Colloquium speaker, Chris Hook (POSC BA 2003, MA 2004), has worked in the federal government, as a budget analyst in the US Departments of Justice and of Housing and Urban Development. Our 2016 Careers Colloquium speaker, Colleen Gaydos (BA POSC 2005), is a staff member to the Senate Committee on Appropriations, Subcommittee on Defense. Chris Hook won the College of Arts and Sciences Distinguished Service Alumnus of the Year Award in 2017; our alumna Jacqueline Green (BA POSC 2007) won the College of Arts and Sciences Distinguished Young Alumna of the Year award, for her work in civil rights and criminal justice. Our recent alumni are working in the Peace Corps, in the US Department of State, and in Japan and in Korea, teaching English – among the many other public service-oriented commitments our students make after graduating from CWRU. Scores of our alumni (probably a conservative estimate) work in government and in law; some run for and hold elective office; some work in NGOs and INGOs; others work in advocacy groups. Others who are not employed in public-service-related work nonetheless are active in their communities and in meaningful volunteer work. For students interested in public service and/or in volunteer work, please see the POSC homepage for a list of internship and career opportunities. Note, as always, that while the Department of Political Science alerts our students to this range of opportunities, we do not endorse or sponsor them, and leave it to the judgment of our students to determine what is most useful and appropriate to them. 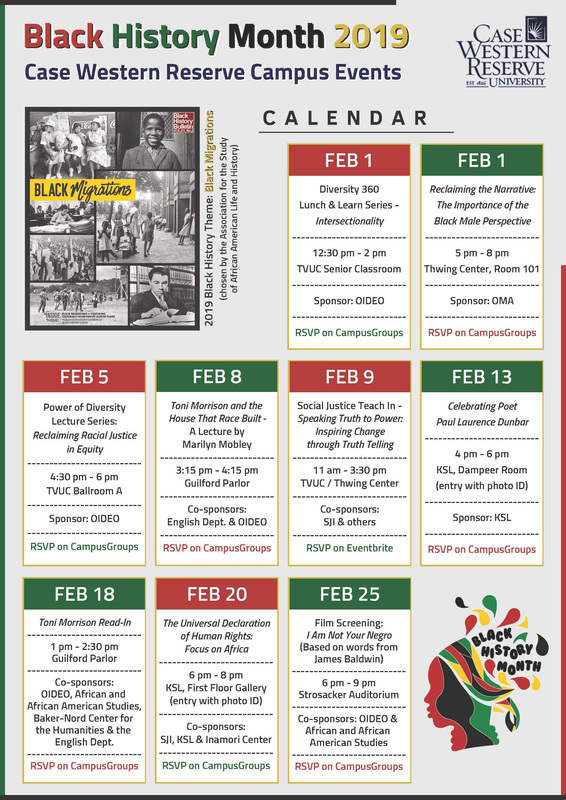 Check out the 2019 Black History Month events schedule. The John Quincy Adams Society and The National Interest are conducting an essay contest for college students. The winner will be published in The National Interest, receive $1,000, and have a seat at the Society’s 2019 student leadership conference in Washington, D.C. Essays are due March 24, 2019. Click here for details. The Model Arab League Mock Summit Program, similar to Model UN, hosts conferences around the country for university students to learn about the politics and history of the Arab world, and the arts of diplomacy and public speech. Find a conference near you. 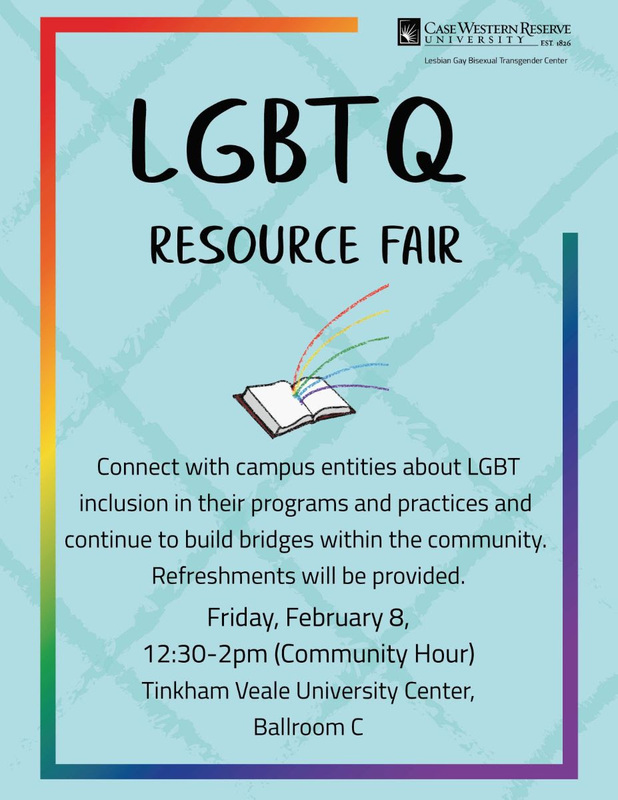 Connect with campus entities about LGBT inclusion in their programs and practices and continue to build bridges within the community. This lecture by Dr. Marilyn Mobley, Vice President for Inclusion, Diversity and Equal Opportunity and Professor of English, will focus on the ways in which Toni Morrison’s essay “Home” has influenced Professor Mobley’s research, teaching, and thinking about race and other topics related to diversity, inclusion, and equity in American culture. Celebrate the Year of the Pig with the Kwan Lion Dance and Dim Sum. The Social Justice Teach-In is designed to inspire students and community members to be active and engaged citizens, to increase their understanding of social justice issues, and to enhance their leadership skills in areas such as service, advocacy, and philanthropy. Registration is required. Employers will be recruiting students of all majors for all kinds of opportunities, including internships, co-ops, practicum experiences, full-time jobs, and more. Click here to see all registered employers attending. This forum will explore Article II of the Constitution and the scope and limits of presidential power. Nonmember tickets are $20. How Can the College Board’s Advanced Placement Program Inform and Assist Higher Education? Cathy Brigham, senior director of academic relations for the College Board’s Advanced Placement (AP) program, will describe how the AP curriculum is continually evolving and how some courses have undergone substantive revision over the past few years. Join James Lindsay, Senior Vice President and Director of Studies at the Council on Foreign Relations, for a discussion on the implications of the Trump Administration’s America First foreign policy. Event is free for students. Pete Buttigieg, the Democratic mayor of South Bend, Indiana, will discuss his book, “Shortest Way Home: One Mayor’s Challenge and a Model for America’s Future.” Event is free. Registration is required. A panel will discuss the Virtual Advocate (VirA), which uses voice-activated smart speakers and smart phones to protect those at risk of domestic or dating violence and sexual harassment. VirA is intended to “hide in plain sight” so that a user can activate it with their voice without a perpetrator knowing or being able to stop it. Event is free, registration required. Join Law Professor Cassandra Burke Robertson for a discussion on denaturalization in the US. Lunch will be provided. RSVP to Dr. Terri Mester. The Elect Her Program is YOUR opportunity to learn strategies to best prime you for office and also to learn from elected women on how they have succeeded in their campaigns! Register here. Students have the opportunity to participate in a conversation with journalist and March 5th Think Forum speaker Julia Ioffe. RSVP here. Julia Ioffe will be giving a free lecture as part of the Think Forum series. Reserve your tickets here. Spring and summer internships are offered in multiple locations, including New York, Chicago, and Los Angeles. Application deadlines vary. The Program offers a compelling study experience and valuable exposure to work in a professional environment. Special enrichment opportunities include attending Court sessions as well as seminars organized by the Supreme Court Fellows. Applications for summer placement due March 1, 2019. The deadline to apply for a summer 2019 internship with Ranking Member Bob Menendez is March 8, 2019. The deadline to apply for a summer 2019 internship with Chairman James Risch is April 26, 2019. Volunteer with the 19th annual Social Justice Teach-In. Hundreds of participants, including high school and college students from dozens of schools, are expected to attend. For questions, contact irtf@irtfcleveland.org or call 216-961-0003. Katherine Dolansky (BA POSC ’16), in law school at Emory University, has accepted a position as a legal clerk in the Cleveland U.S. Attorney’s Office for summer 2019. Congratulations!